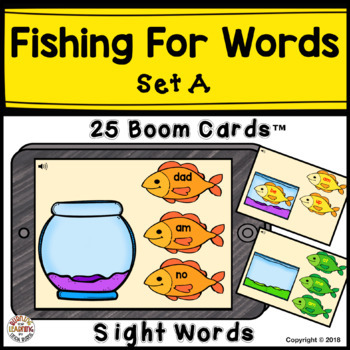 Here's a fun activity for building fluency for 22 sight words! 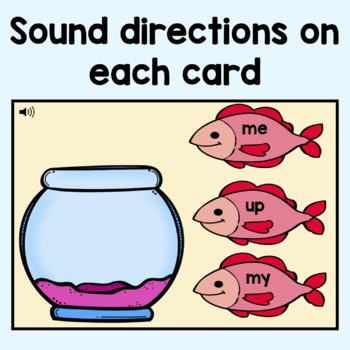 There are 24 Boom Cards in this set with sound directions for independent work so the children will know what word to select without having to ask for help from the teacher. 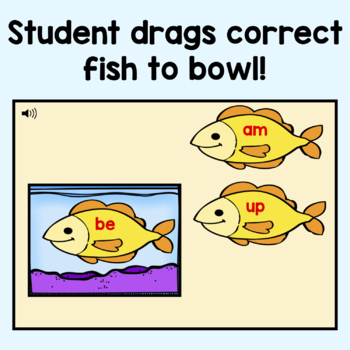 They respond by dragging their choice to the fishbowl and will receive immediate feedback. Click here or on Preview to try a sampling of this set! If you are new to Boom Learning, you will be offered a free trial of our premium account.Readhere for details: http://bit.ly/BoomTrial. Follow Me! Be one of the first to learn about my new products, sales, and discounts by clicking on the green star above to receive updates to your email inbox! Earn credits toward future products on TpT! When you leave feedbacks and ratings for my products, you can receive credits from TpT for more purchases. Go to What are TpT credits? to learn how to redeem your credits on future purchases!